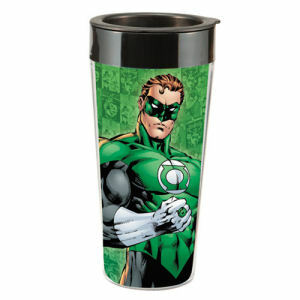 Green Lantern is the name of a number of superheroes appearing in American comic books published by DC Comics. They fight evil with the aid of rings that grant them a variety of extraordinary powers. The first Green Lantern character, Alan Scott, was created in 1940 during the initial popularity of superheroes. Alan Scott usually fought common criminals in New York City with the aid of his magic ring. The Green Lanterns are among DC Comics' longer lasting sets of characters. They have been adapted to television, video games, and motion pictures.